Tatiana is so much fun to spend time with at Hogar Belen Diriamba. 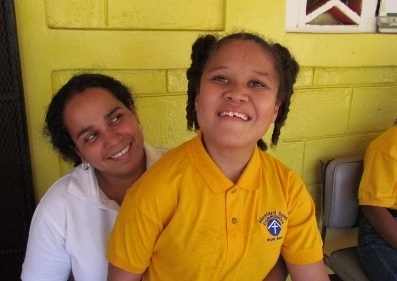 Tatiana, also known as "Tati", was one of the first children to come to live at Mustard Seed Communities Nicaragua. She arrived at Hogar Belen Managua in 2000 when she was just an infant. She has overcome all of her physical health issues and is doing very well now at Hogar Belen Diriamba. Thanks to her schooling and therapy, Tatiana can now recognize colors and shapes and is able to talk more than ever before. She has also been working on improving her fine motor skills through painting and sewing. Tatiana especially loves to dance and give big hugs so if you're heading to Nicaragua on a mission trip get ready to have a lot of fun with her!